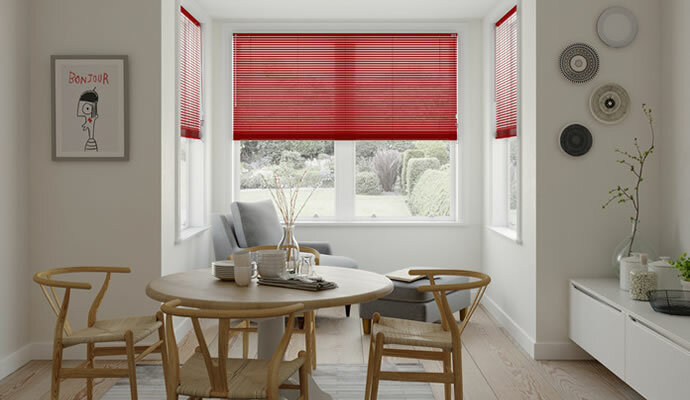 Whether it’s a soft neutral red you’re looking for, or perhaps something that makes more of a statement, you’re sure to find the perfect red blinds for your home in our collection. 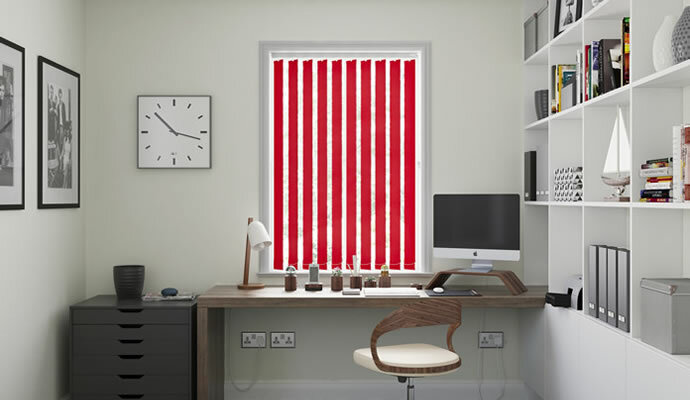 Our red blinds for windows consist of everything from minimal panel blinds to patterned Roman blinds. 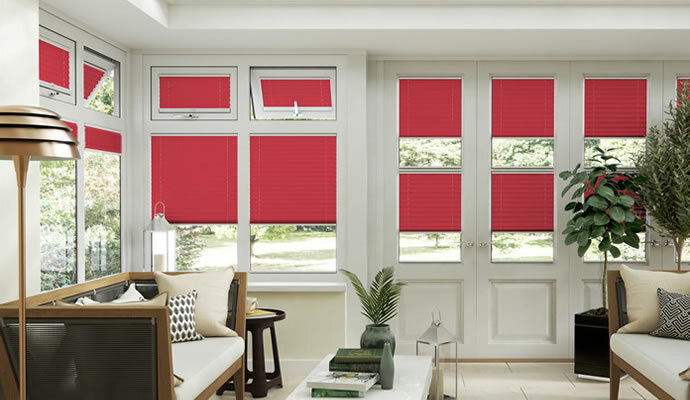 So whether you’re wanting to cover your bedroom, bathroom, kitchen or living room windows, you’ll find the right red blinds here. 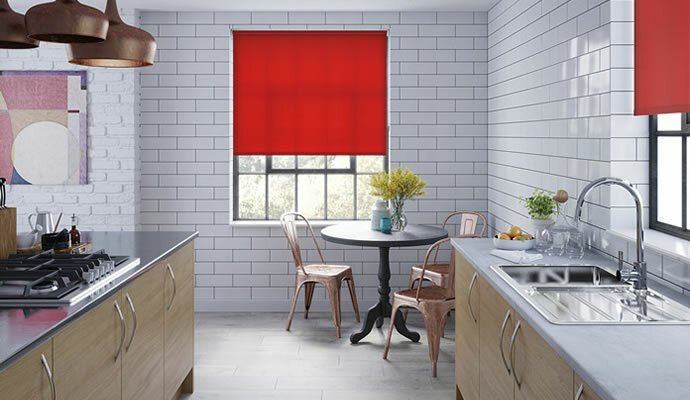 Add a touch of colour to your home with a classic red roller blind. 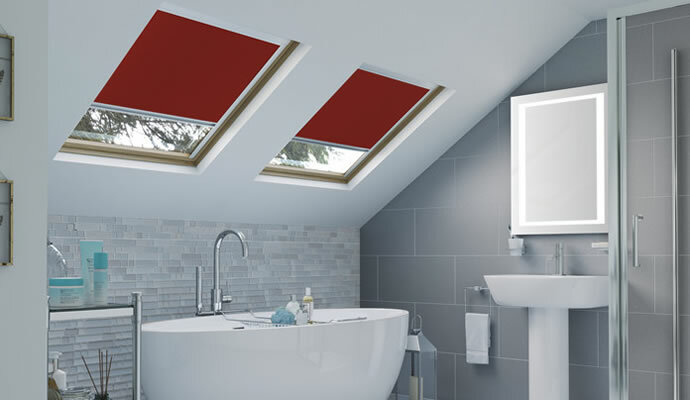 Available in PVC fabrics, these red blinds are perfect for kitchens or bathrooms thanks to their practicality. Roman blinds are one of the most elegant styles of blinds, and a light shade of red would add a touch of warmth to any living room. Red venetian blinds are a great way to add a little colour to a minimalistic style room. They come in a range of shades from a subtle brushed ruby to a darkgarnet red. Red vertical blinds are able to filter out light effectively while producing a striking focal point for your room. 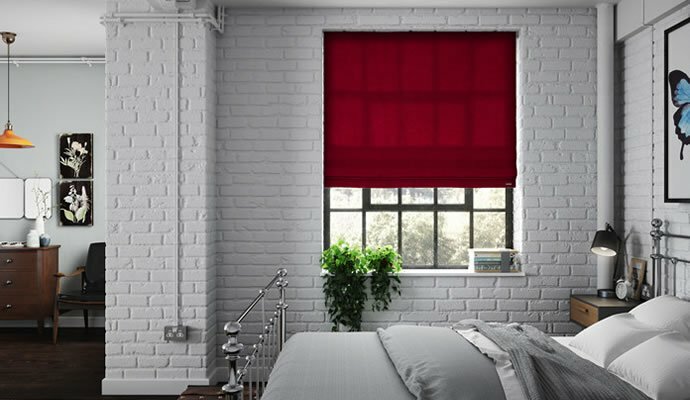 If you want to block out the outside light from your bedroom or living room, but don’t want to compromise on style, look no further than our red blackout blinds. 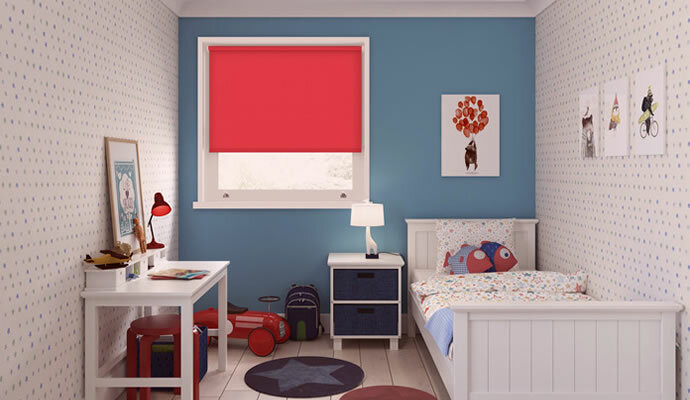 Choose from a wide range of shades and patterns to find the perfect red blackout blind for you. Our skylight range comes in a variety of colours and patterns, all of which ensure a peaceful night’s sleep by blocking the sunlight. Try a light red shade to give your bedroom an elegant yet homely feel. Style and efficiency go hand in hand with our range of red conservatory blinds. The elegant textures of the Ecoshade range are designed to retain heat in the winter months, saving on energy.